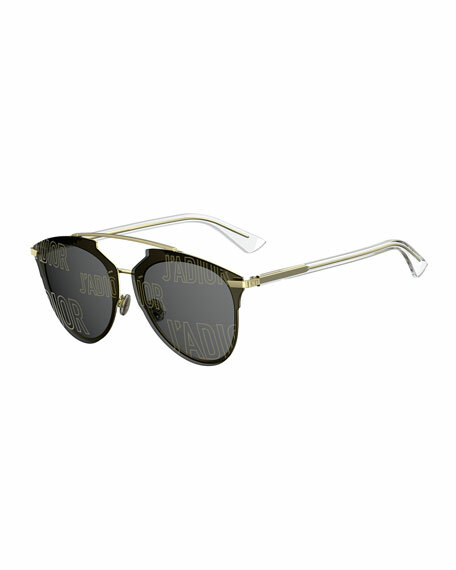 Dior "Reflected Prism" sunglasses in modified aviator style. Mirrored teardrop lenses feature prism detail. Metal frames with plastic trim. CD logo embossed at temple hinge. For in-store inquiries, use sku #1921146.